There’s no shortage of proof that American millennials love music festivals. In 2014, 14.7 million of them attended at least one.1 But tucked within the generation of 80 million, there’s a subset of festivalgoers whose habits are changing the festival landscape of today and tomorrow. Meet the Young Female Festivalgoer. 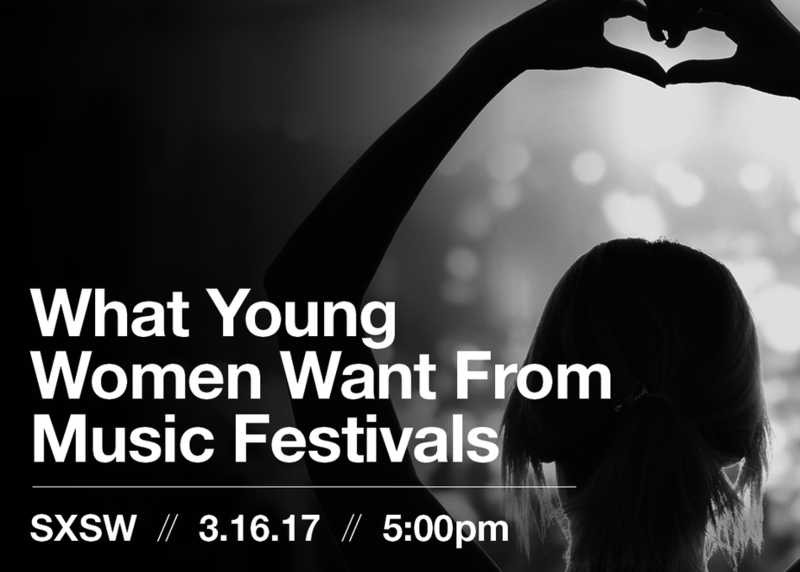 Thanks to increased buying power and interest in festivals, these 18-24-year-old women are among the most formative forces behind the evolving music festival landscape. The panel discusses a recent proprietary study and what it means for festival producers, performing bands and festival sponsors.